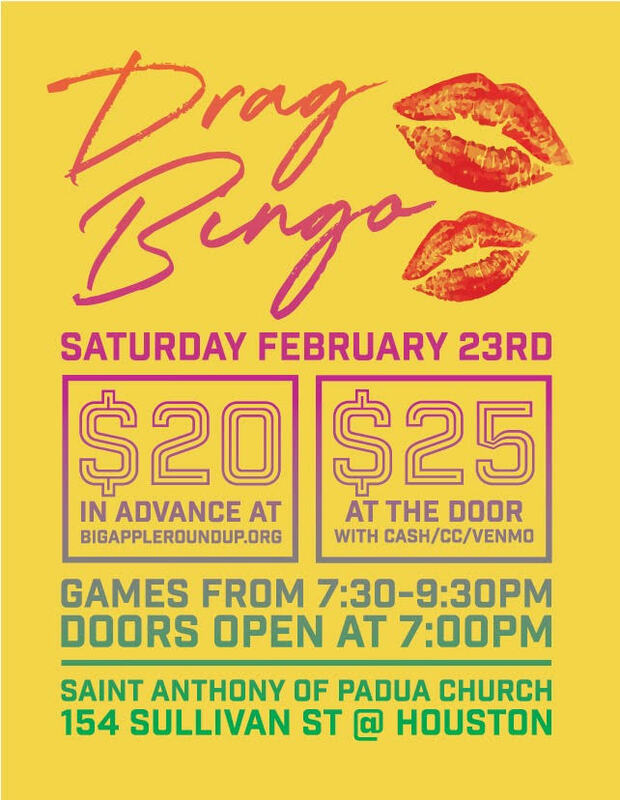 Back by popular demand, the Big Apple Roundup presents Drag BINGO! Entrance fee comes with 3 cards for each of the 8 games, giving you 24 changes to win! Extra cards of course will available for purchase from our BINGO boys. NOTE: No one will be turned away for lack of funds, all are welcome.